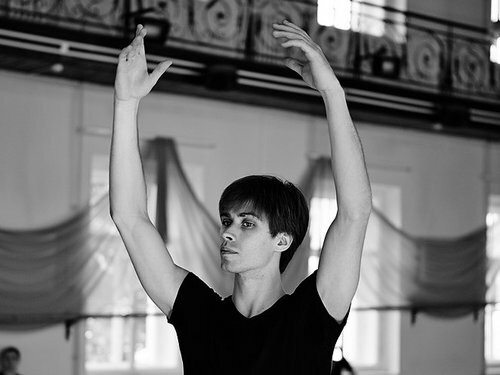 Richard Curson Smith’s “Rudolf Nureyev – Dance to Freedom” received a special mention at this year’s Prix Italia in the TV Performing Arts category. The film is centred on Nureyev’s famous escape from behind the Iron Curtain. According to the jury, it dramatized this crucial moment in the dancer’s life, “by using the most appropriate atmosphere, great images, exclusive interviews and outstanding performances”. We look at the work behind this documentary with director Curson Smith. How did the decision to focus the film on a specific moment of Nureyev’s life came about? The focus on a specific moment is something I look for a lot in my films, especially films about iconic figures. The moment where everything is transformed. If you find the right moment, which has changed and affected the lives of all those people who participated in the events, and the right people to tell it, you have a gripping and cinematic narrative. That is more exciting to me than a wider biographical approach to films. With a life as rich and dramatic as Nureyev’s there were several options, several powerful moments, but I was always obsessed with his defection in Paris in 1961. That is when he became a superstar, and a player in the Cold War. It is when the strength of his character was most strongly tested. There is love, espionage, betrayal. What more can you ask for? How did you build it and what were the biggest challenges in the kind of narration you have chosen? I make some films that are pure documentary, and some that are fully-scripted dramas with actors. Combining the two of them effectively is a challenge. However, from the start with this particular story, I knew we needed both. There are enough people, both Russian and French, who shaped the events and are still alive, with completely different perspectives on the story. That was essential. Yet, Nureyev is no longer with us, and there is no footage of him dancing in Paris during these extraordinary events, so I knew dramatization should lead the story. The biggest challenge was to find somebody to play Rudolf Nureyev, whom the audience would believe in. Nureyev’s looks, his attitude, his dancing were all so distinctive. Fortunately, the Gods of dance were smiling on us. We were in St Petersburg filming interviews and I was already fretting about ever finding our Rudolf. I was flipping through the pictures in a Russian Vogue of all things, and I saw what I thought was a photo of Nureyev that I had not seen before. When I looked closer, I realized that it was not Nureyev, it was a fellow called Artyom Ovcharenko, current star of the Bolshoi ballet. We left immediately for Moscow. I knew we had found our man the moment we met him. Artyom is wise, kind, an inspiration, and a friend, who turned out to be a stunning natural actor. What was your reaction to the special mention in Prix Italia’s TV Performing Arts category? Like all nominees, I was disappointed when I found out that our film had not been selected by the jury to win the Prix Italia. So it was nice to learn that we had achieved a special mention. It is an honour. Perhaps next time!